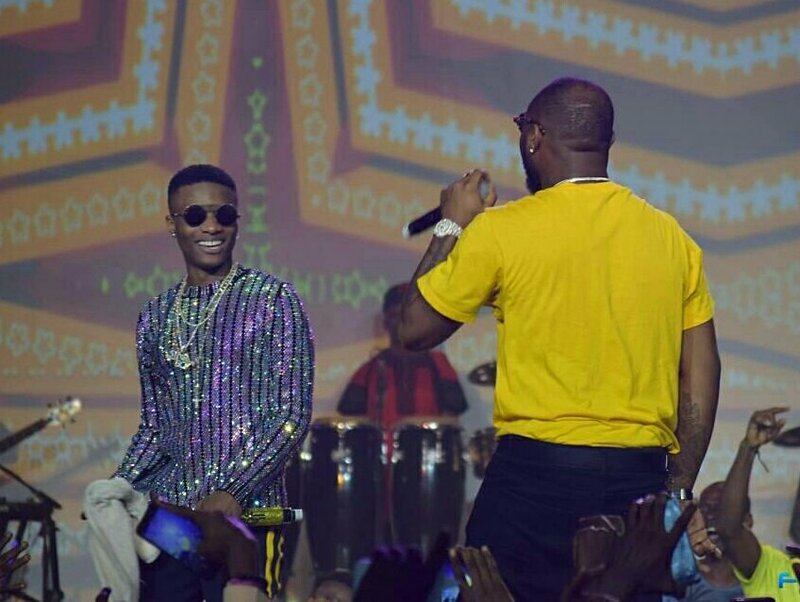 Starboy – Wizkid x OBO – Davido on the same stage!!! Okay, now that I’m a bit calm, I can tell you about 2017’s most iconic moment in Nigerian Music. So yesterday, Wizkid held his hugely anticipated Show #WizkidTheConcert and it was all shades of greatness with Starboy killing it! Lots of fabulous performances went down from Nigerian’s A-listers BUT ONE MOMENT STOOD OUT!!!! That moment when Wizkid called out Davido for a duet of David’s hit single “FIA” and boyyyyyy, it was LIT! For all the fans out there, this one is for you all. NO BEEF, JUST HITS! Get along with the programme.